Based on extensive research and one-on-one interviews with more than 50 of the most legendary financial experts in the world; from Carl Icahn and Warren Buffett, to Ray Dalio and Steve Forbes; Tony Robbins has created a simple 7-step blueprint that anyone can use for financial freedom. Robbins has a brilliant way of using metaphor and story to illustrate even the most complex financial concepts, making them simple and actionable. With expert advice on our most important financial decisions, Robbins is an advocate for the reader, dispelling the myths that often rob people of their financial dreams. 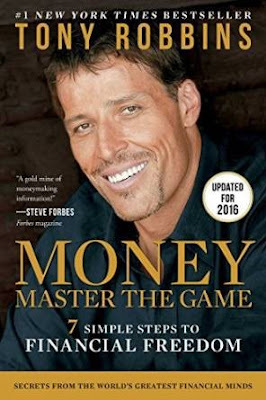 In MONEY Master the Game, Tony Robbins walks readers of all income levels through the steps to become financially free by creating a lifetime income plan. This book delivers invaluable information and essential practices for getting your financial house in order. 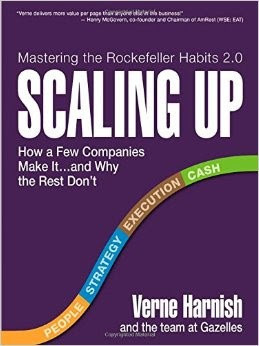 In "Scaling Up," Harnish and his team share practical tools and techniques for building an industry-dominating business. These approaches have been honed from over three decades of advising tens of thousands of CEOs and executives and helping them navigate the increasing complexities (and weight) that come with scaling up a venture. This book is written so everyone - from frontline employees to senior executives - can contribute to the growth of a firm. There's no reason to do it alone, yet many top leaders feel like they are the ones dragging the rest of the organization up the S-curve of growth. The goal of this book is to help you turn what feels like an anchor into wind at your back - creating a company where the team is engaged; the customers are doing your marketing; and everyone is making money. To accomplish this, "Scaling Up" focuses on the four major decision areas every company must get right: People, Strategy, Execution, and Cash. "Scaling Up" shows business leaders how to get their organizations moving in sync to create something significant and enjoy the ride. Adam Smith may have become the patron saint of capitalism after he penned his most famous work, The Wealth of Nations. But few people know that when it came to the behavior of individuals - the way we perceive ourselves, the way we treat others, and the decisions we make in pursuit of happiness - the Scottish philosopher had just as much to say. He developed his ideas on human nature in an epic, sprawling work titled The Theory of Moral Sentiments. Most economists have never read it, and for most of his life, Russ Roberts was no exception. But when he finally picked up the book by the founder of his field, he realized he’d stumbled upon what might be the greatest self-help book that many are yet to read. 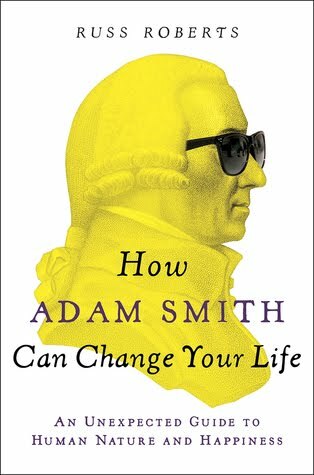 In How Adam Smith Can Change Your Life, Roberts examines Smith’s masterpiece, and finds a treasure trove of timeless, practical wisdom. Smith’s insights into human nature are just as relevant today as they were three hundred years ago. What does it take to be truly happy? Should we pursue fame and fortune or the respect of our friends and family? How can we make the world a better place? Smith’s unexpected answers, framed within the rich context of current events, literature, history, and pop culture, are at once profound, counter-intuitive, and highly entertaining. In reinvigorating this classic, this book provides us with an invaluable look at human behavior through the lens of one of history’s greatest minds. You need to explore http://overnightessay.co.uk if you are interested in such kind of writings and want to get even more. Hm! interesting. I have some interesting site. Can u look at this - https://proessays.net.